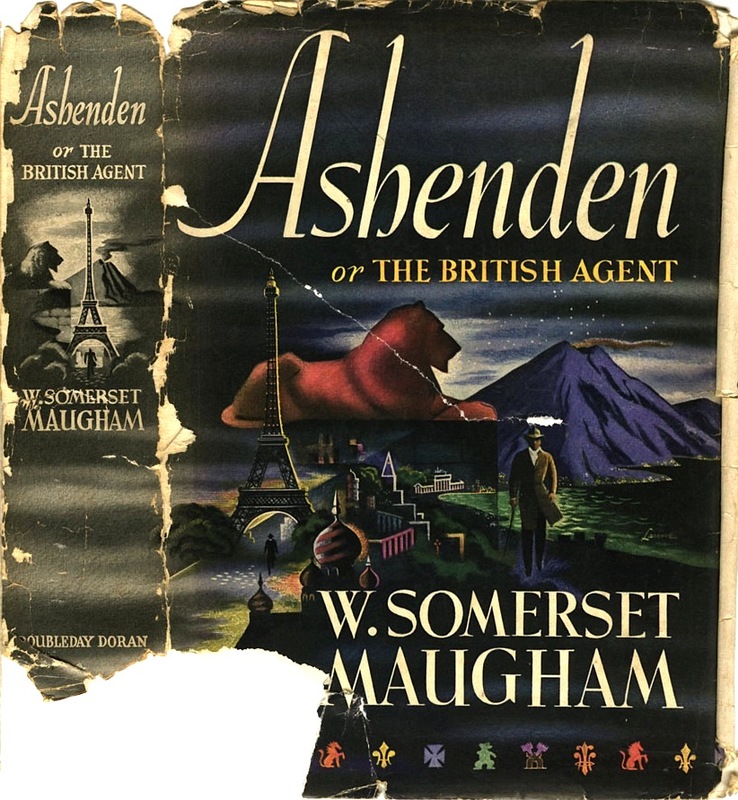 W. Somerset Maugham's Ashenden, or, The British Agent is for me a fairly recent discovery. Despite my having become interested in spy fiction well over three years ago, and despite Ashenden being arguably the most important work in the field, I only encountered it earlier this year when I read two of the connected stories which make up the book in two different spy fiction anthologies – Alfred Hitchcock's Sinister Spies and the Eric Ambler-compiled To Catch a Spy, both published in the mid-1960s. The story in the former was "The Traitor" (actually comprising two stories from Ashenden: "Gustav" and "The Traitor"); I described it in my review – if I may be so gauche as to quote myself – as "one of the best pieces of spy fiction I've ever come across – almost languorous in pace and yet packing an emotional punch that's uncommon in the field of espionage writing", adding for good measure: "It's a beautifully judged, wonderfully written tale." The story in the latter was "Giulia Lazzari" (again comprising two stories from Ashenden: "A Trip to Paris" and "Giulia Lazzari"); that one I reckoned was "every bit as remarkable" and "at least as affecting as... 'The Traitor'", gushing over "the elegance and clarity of the prose". 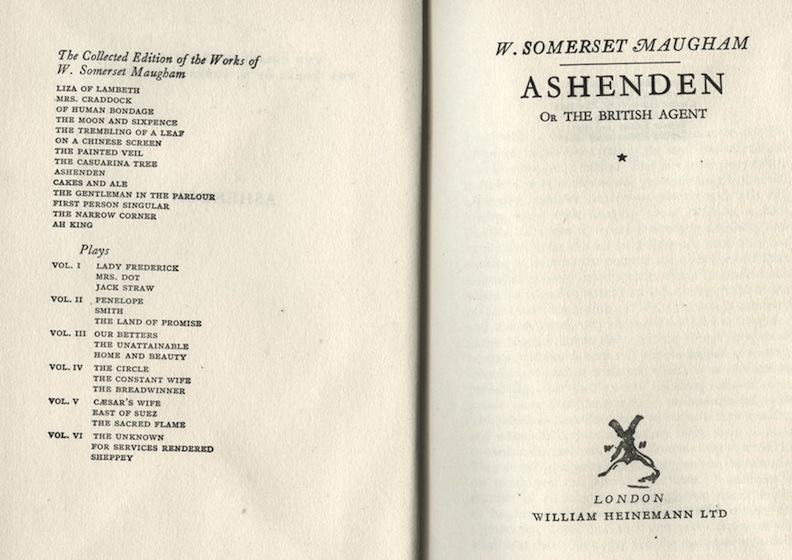 Having been bowled over by those two tales, I determined to get my hands on the complete Ashenden, preferably in an interesting and/or scarce edition (I know, I know: I despair of myself sometimes too; why can't I just buy a new paperback off Amazon like everyone else?). 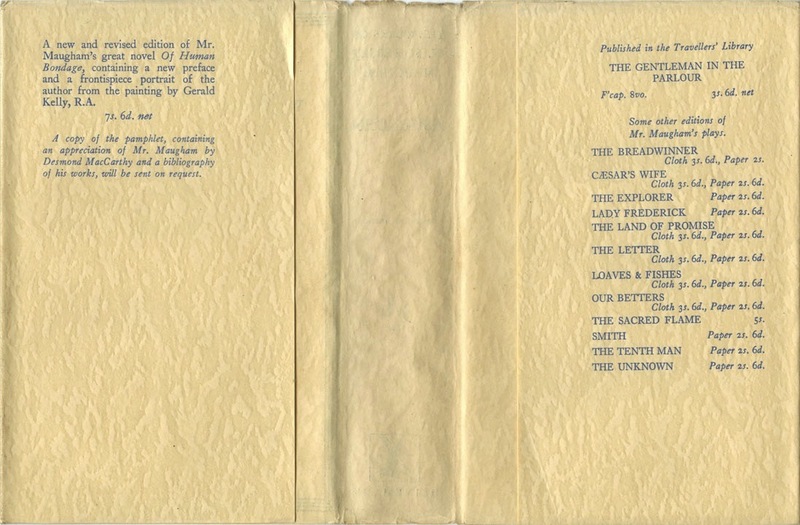 A jacketed copy of the Heinemann first edition/first impression, published in March 1928, was beyond my means – those run into the thousands of pounds – but as I researched editions of Ashenden I learned that Maugham had penned a preface for the book, one which wasn't present in the earliest impressions of the Heinemann first. (Eric Ambler alluded to this preface in his introduction to To Catch a Spy when he wrote that "Ashenden was based, as Mr Maugham has told us, on his own experiences as a British agent in Switzerland and Russia during the 1914–18 war.") 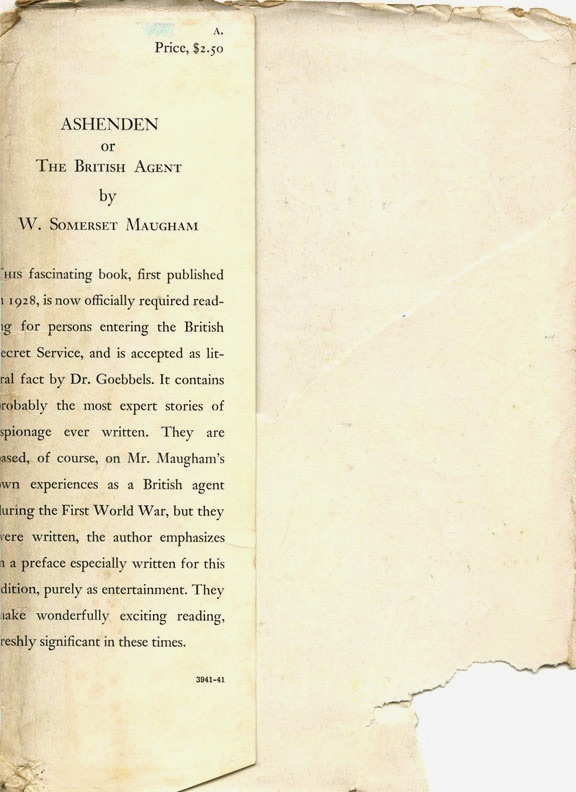 A true first of Ashenden was out of the question, but perhaps I could obtain the earliest edition to include Maugham's preface. In the Heinmann Collected Edition of Ashenden. 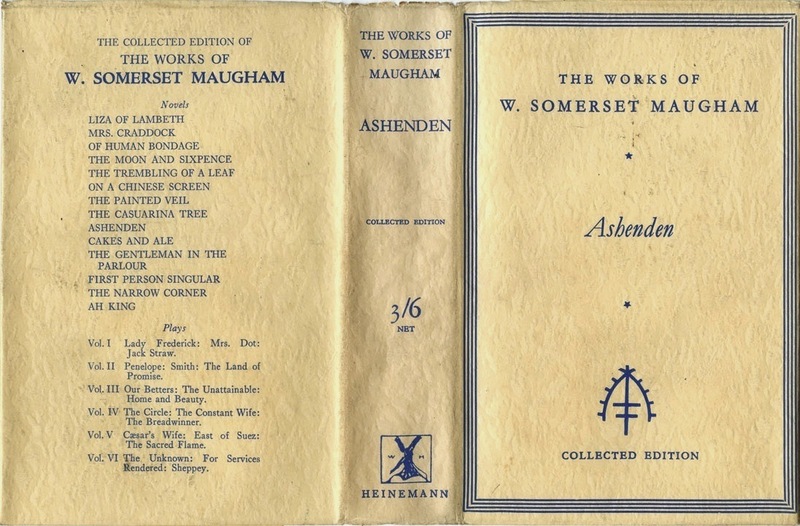 The copy seen here is the 1934 first appearance of Ashenden in the Collected Edition of the Works of W. Somerset Maugham (it would be reprinted thereafter), which also represented the first reset of the book following various reprints and Cheaper Editions and Popular Editions (and, in the same year as the Collected Edition, a Collins 7D edition). As such, it's quite a rare book; this was the only copy I could find with a complete dust jacket (and both book and wrapper are in lovely condition too, especially considering they're 80 years old), and even jacketless copies are thin on the ground. 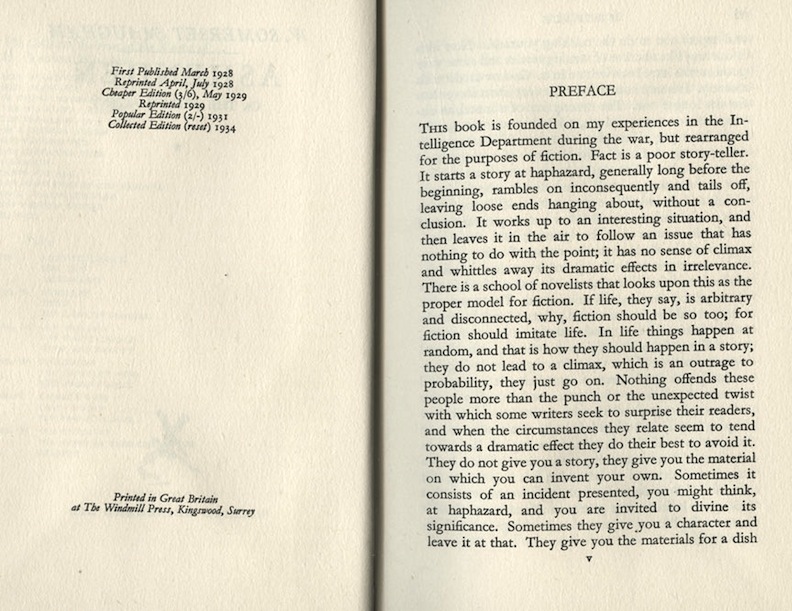 Fortunately, interested parties need not go to the lengths I did to read the 1934 version of the preface because it was reprinted in the 2000 Vintage paperback edition of Ashenden, and can even be viewed in large part via Amazon's 'search inside' facility. There is nothing wrong in a climax, it is a very natural demand of the reader; it is only wrong if it does not follow naturally from the circumstances that have gone before. It is purely an affectation to elude it because in life as a general rule things tail off ineffectively. For it is quite unnecessary to treat as axiomatic the assertion that fiction should imitate life. It is merely a literary theory like another. There is in fact a second theory that is just as plausible, and this is that fiction should use life merely as raw material which it arranges in ingenious patterns. I have written all this in order to impress upon the reader that this book is a work of fiction, though from my own experience I should say not much more so than several of the books on the same subject that have appeared during the last few years and that purport to be truthful memoirs. The work of an agent in the Intelligence Department is on the whole extremely monotonous. A lot of it is uncommonly useless. The material it offers for stories is scrappy and pointless; the author has himself to make it coherent, dramatic and probable. I take it that the success of such an organization as the Intelligence Department depends much on the character of its chief, and certainly during the last war this position in Britain was held by a man of brilliant ability and resource. I wish I could give a description of him, but I never saw him and knew him only by an initial. I know nothing about him except what I surmise from some of the results he achieved. 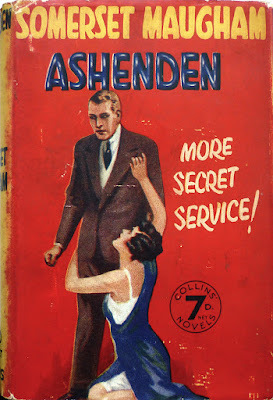 This is interesting because in Ashenden, our eponymous novelist-turned-spy lead – whose Christian name, incidentally, is never revealed, although Maugham's 1930 novel Cakes and Ale is narrated by a William Ashenden, also a writer, and in the 1936 Alfred Hitchcock film adaptation Secret Agent he's named as Richard and in the 1991 BBC television adaptation as John – meets his Intelligence boss, the cunning R., a number of times in the book. But then as Maugham states in the opening line of his preface, "This book is founded on my experiences in the Intelligence Department during the last war, but rearranged for the purposes of fiction." But there will always be espionage and there will always be counter-espionage. Though conditions may have altered, though difficulties may be greater, when war is raging, there will always be secrets which one side jealously guards and which the other will use every means to discover; there will always be men who from malice or for money will betray their kith and kin and there will always be men who, from love of adventure or a sense of duty, will risk a shameful death to secure information valuable to their country. Though twenty years have passed since these stories were written I cannot think they are entirely out of date, since till quite recently, I am told, they have been required reading for persons entering the Department; and early in this war Dr Goebbels speaking over the air, taking one of them as a literal statement of recent facts, gave it as an example of British cynicism and brutality. But it is not for any topical interest they may have, not because they have been used as a sort of textbook, that I now offer to the public a new edition of these stories. They purpose only to offer entertainment, which I still think, impenitently, is the main object of a work of fiction. 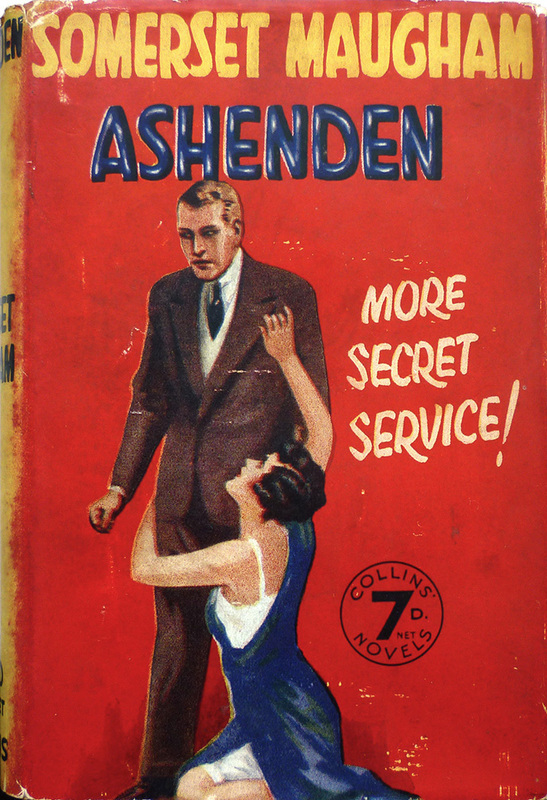 Eric Ambler in his introduction to To Catch a Spy called Ashenden "the first fictional work on the subject [espionage] by a writer of stature with first-hand knowledge of what he is writing about", adding, "...there has been no body of work in the field of the same quality written since Ashenden." Ambler wrote those words in 1964, but fifty years on I'd suggest you could still reasonably make the same claim. It's probably a little early in 2014 to be talking about books of the year, but I'll be astonished if I read a better piece of fiction over the remainder of the year. It is an extraordinary novel – for, despite its episodic nature, that is in essence what it is – "The Traitor" and "Giulia Lazzari" matched by the triumvirate of "The Hairless Mexican"/"The Dark Woman"/"The Greek", with its deliciously subversive payoff, and even by the later tales like "His Excellency" and "Love and Russian Literature", which on the surface seemingly have little to do with espionage but deal with the same themes of betrayal and affairs of the heart that inform the earlier tales. Certainly I doubt I'll read a more devastating coda this year than the closing "Mr. Harrington's Washing". 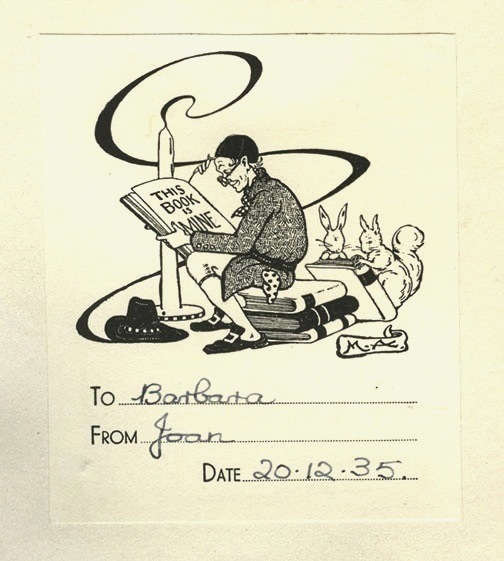 It's fitting, therefore, that Ashenden, and in particular the 1934 Heinemann Collected Edition (my copy of which sports a fetching ex-libris bookplate) should form the basis of this prolix blog post, which is my nine hundred and ninety-ninth. Because in the next post – my thousandth, for those nodding off at the back – I'll be taking a look at the books which (to my fevered mind) have come to define Existential Ennui – Ashenden being a late entry onto that list. I'm pretty sure the foreward was in the copy of my library here in the US. I seem to remember that there were other Asheden spy stories. They were extremely close to actual events and Maughm was not sure he should publish them. He sent them to Winston Churchill who told him to burn them. He did. That may be not actually be true, but I wonder what was in the stories. Yes, I've seen multiple mentions online of there originally being 31 stories, but Churchill insisted 14 be burned as they breached the Official Secrets Act. No idea how apocryphal that is though. Anyone else know? Working in a library does have its occasional perks: I briefly scanned three Maugham biographies (including the most recent from 2010), and all mention this episode--there seems to be no real controversy over whether it happened, but there is also (understandably) little in the way of corroborative evidence. Obviously neither Churchill nor Maugham would have been eager to discuss it. In Maugham's case, embarrassment over having possibly violated national security would be joined with personal pain over having to destroy his own work. It makes perfect sense that he'd have done it at Churchill's suggestion--what I read seems to indicate that's all it was, though. They were pretty good friends, and held each other in high regard. All Churchill would have had to was mention their impropriety. Maugham would have likely needed no further prodding. Different times. And if anybody ever understood the need for discretion in these matters, it would be a gay man working in the field of espionage in the early 20th century. In England, yet. Here's the most detailed account I found, from Ted Morgan's "Maugham" (Simon & Schuster, 1980). Note that he puts a little unstated question mark on the story, whose only source is footnoted rather cryptically as "Alan Searle to Patrick O'Higgins". The other two bios just treat it as holy writ, and offer no sources at all. "The stories were so close to the truth that he destroyed fourteen unpublished ones in one of his "bonfire nights" after Winston Churchill had seen the manuscripts and informed him that they violated the Official Secrets Act. It was not his practice, however, to let that may stories accumulate without offering them for magazine publication and one can only wonder at this uncharacteristic destruction of salable material." So yes, it probably happened. And no, we probably don't know the whole story. This has always been on my to-read list, as I sort of unofficially aim to read everything I can from the Haycraft/Queen list. Chris, thank you for that bit of research. Kelly, I just took a look at the Haycraft/Queen list – that's quite a challenge. How far have you got? It is most certainly a shame they were destroyed, but I can't help but think Maugham would have regarded a figure like Snowden with a mixture of horror and distaste--and perhaps fascination, as a potential subject for a book. But I doubt it would have been a flattering portrait. Not taking sides, just trying to see things from his POV. His patriotism was not naive, but it was heartfelt. One can't see him seeking refuge with the likes of Putin, somehow. There could possibly have been scattered bits of information in the stories that could have been useful to people on the other side--those who knew how to read between the lines. Hardly any big secrets, but the spy game is not often about getting big secrets--more about getting lots of little bits of intel, each useless in itself, that ultimately piece together into something dangerous. Each side looks for the tiniest advantage over the other. Anybody who worked in intelligence will tell you that we have Official Secrets laws for very good reasons. He's one of the most studied writers of the modern era--the tale of these burned manuscripts has been out there a long time. I think if they had survived in any form, we'd have them by now. Yes but in the long run all those little secrets are usually not important, especially years after the fact. I'll give you that real-time disclosure could have been bad. No reason they couldn't have stashed them in a vault for 50 years. Maugham wasn't some unimportant little scribbler, nor was he a dolt who would publish the keys to the kingdom. Living in Washington, I see firsthand all the time people who are obsessed with official secrecy and much of it is complete BS. Daniel Patrick Moynihan wrote a really good book about this. I have since heard that the recovered stories have been taken to a safe house in East Sussex for further study and review. You might very well think that, Brian; I couldn't possibly comment. There's a guy up the road from you in Piltdown who specializes in digging up old things - it's probably him. "The trio had hoped to uncover 14 Ashenden stories that were never published. Maugham supposedly destroyed them because they were considered too politically sensitive and violated England's Official Secrets Act. 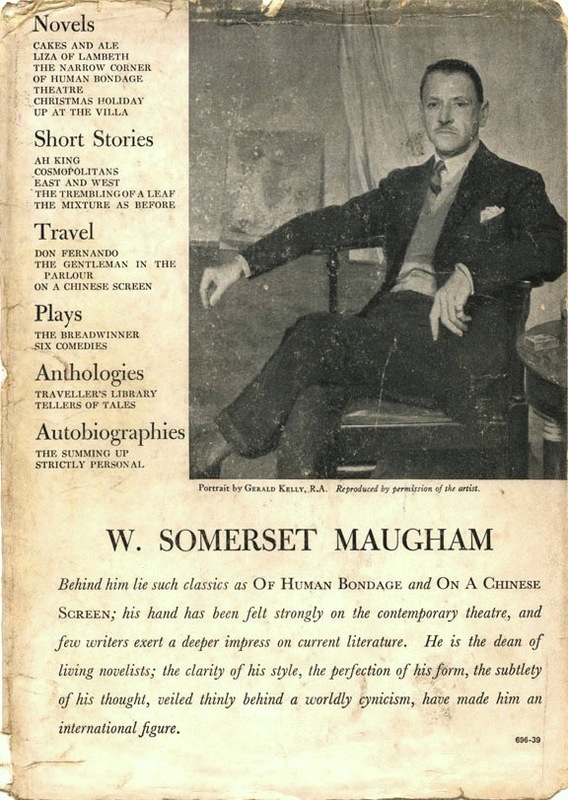 The producers scoured Maugham archives and letters looking for the stories. They came up empty-handed. So, Pirie did his own detective work. He decided to research the secret service during Maugham's period to 'dig up material that way,' but he found that all pertinent material also was covered by the Official Secrets Act." This article is from 1992. Maugham's last work for the British Secret Service (that we know of) was in 1917. The language doesn't change much, does it? They really like to cover the bases. Spies are spies, from generation to generation. Anyway, I don't know what to think now. If Maugham's activities were still covered by the Official Secrets Act over 70 years later, might they still be covered today? But then why was he allowed to publish any stories at all? What was so different about the 14 he had to burn? And why does Ashenden's spymaster recruit him by saying he'll find the work a great source of background material for his writing? He's so crestfallen when Ashenden informs him that the story he tells of a foolish French diplomat and a seductive blonde spy has been old hat since before either of them were born. Either somebody's being overly cautious and bureaucratic (which is not that hard to believe of 'intelligence' in this day and age) or else Maugham may have been overly modest about his contribution to the service. Necessarily modest, in fact.